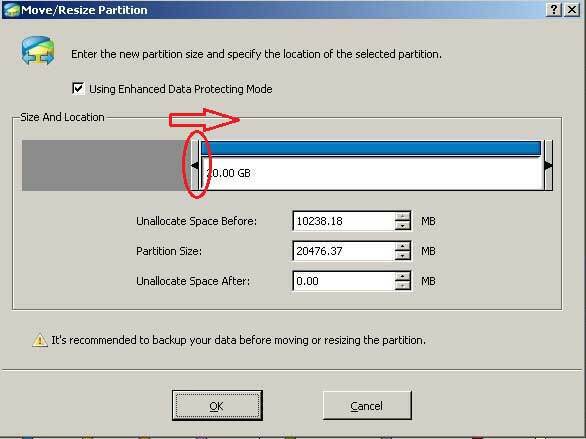 How to resize Windows 2003 partitions with Partition Magic Server fast and safely? Why resize Windows 2003 partitions? Today’s hard drives feature jaw-dropping amounts of space. But no matter how big your drive, you’ll be amazed at how quickly application installs, browser caches, and temporary files can eat up your free space and clutter your system. When the system C: drive is out of space, the Server computer will be fighting for the precious space and will run much slowly. System maybe crash if there is no free space. What will you do in this situation? To start over is a solution but longer downtime means more loss and no one would like to waste their happy weekend to do it. The most time-saving and easy way is to resize Windows 2003 partitions with reliable Server partition software. That is to say, shrink other data partition and get some free space and then extend the boot C drive with the Unallocated space, so there is no need to delete partition, format partition or rebuild the Servers, save time and easy to go. 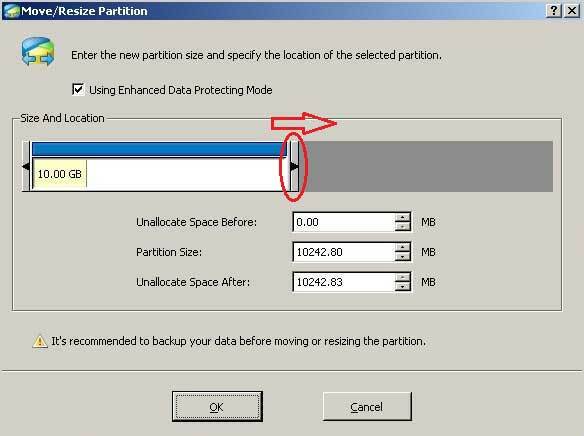 So in this article, I’ll share experience about how to resize Windows 2003 partitions with Partition Magic Server, with which you can extend, merge, resize partition in Windows 2003 Server fast and without losing data. 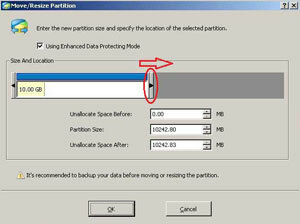 For a Windows Server administrator, to resize partition in Server 2003 is not an easy task to do. Some unreliable software might destroy all your valued data during the process of resizing Server partition under Windows Server 2003 Operating System. 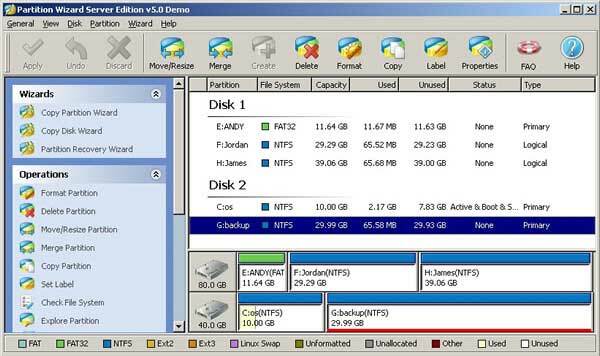 Now, there is a fantastic and award-wining Partition Magic Server software to resize partition of Server 2003 – Partition Wizard Server Edition. 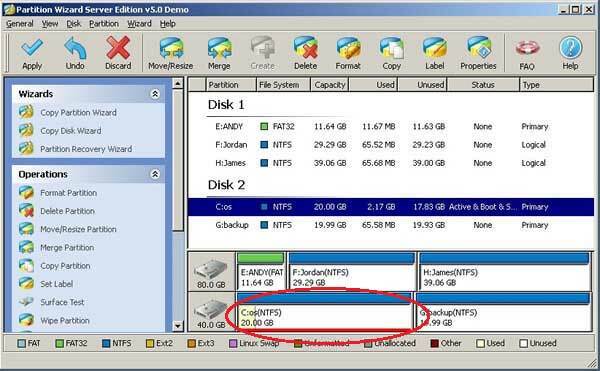 This flawless hard disk management functions are brought together for Windows Server 2000/2003/2008 and Windows 2000/XP/Vista/Windows 7 including: Partition Manager, Disk & Partition Copy Wizard and Partition Recovery Wizard, Convert disk or file system with all hardware RAID supported. How to resize Windows 2003 partitions? – It is extremely easy to resize partition in Windows 2003 Server. 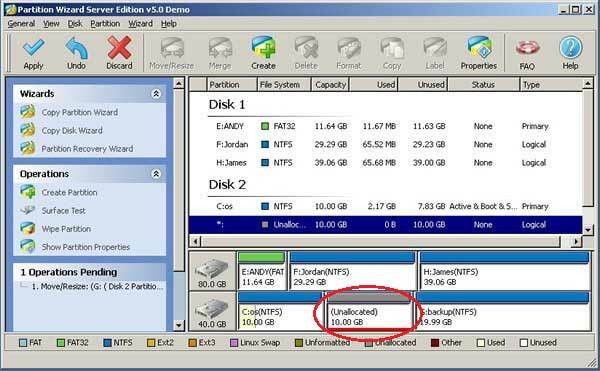 With the absolutely user-friendly interface, the functions of Partition Wizard Server are easy to get access to, you just need to drag and move on the disk map to resize partitions. – Any operations you do on the Server will be listed in the “Operations Pending” column and no changes will take place on your partitions before you click “Apply”. So if you are not sure about your operation, just discard or close this partition manager Server and nothing will be changed. Step by step tutorial to resize, extend partition with Partition Wizard Server. Download this server magic free trial and check how it works.